Hungarian promoter, manager, agent and heavyweight champion Zoltan Petranyi, 46-20, is in full training for his showdown against former British ruler Danny Williams at the Ramada Hotel June 10 in Budapest. The show is promoted by Petranyi´s ProfiBox Promotion and features a big undercard with PBP´s huge stable - most of whom win at home and lose on the road. For Zoltan himself it´s his last fight and it goes ahead on his 44th birthday. 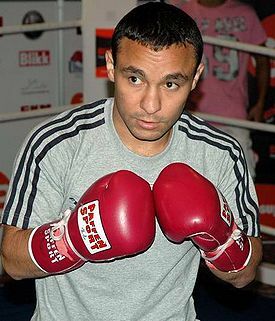 But there´s also a new signing and that is diminutive superfly flyweight Pal Bedak, 8-0, who turned pro with Spotlight Boxing in 2008 but have been inactive since May of 2010 mainly due to the cutdowns at Spotlight and then Universum. There was an announcment that Bedak, along with his brother Zsolt, would move to Australia but that didn´t materialize and Pal have now joined ProfiBox and Bedak, who´s like a young Tyson in his style, should make Hungarian fans happy. On June 10 Pal will participate in four man tournament at superfeather but will then drop down to superfly.